1st of all thank you so much my beloved ns developer this is the best game of all ! *Emblem or Token Package with free system i like it! 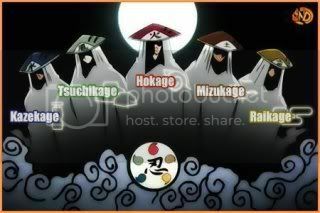 "Upcoming ninja's is the future of NS"
Last edited by Wind Kabuto on Wed Jun 20, 2012 5:35 am, edited 6 times in total. How much "wind kabuto"s are? ._. 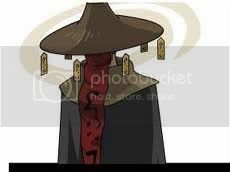 i hope ns dev's will create lightly imba jutsu or (back item'weapon'cloth'and hair style)for free on a token package for ninja's customer using by PayMo - pay by mobile the very easy way to get that! do you agree on removing of agility to all elements? im agree removing of agility on element free attribute points..
lv.60 free user without wind agility:69 vs lv.60 pure wind agility:155 do you think that is balance? the PvP is only for wind user??? if you are lv80 have 37% dodge chance. infinite whirlwind breakthrough(upgraded)II=Remove all nigative status for once; reduce 1 wind ninjutsu cool down on every attack the player receives 3 turns. "upcoming ninja's future of ns"
on topic: ...no comment... ._. If you keep doing that, I'll request a IP ban. why she/he will spam ??? coz she/he need your response i thought that all mod..
i don't know how to start a lot of TS dicussion is very painful in my eyes? i can't see the forum rule's? @ the most imba is emblem than the free user why im so weak on the battle i have no idea?.. i don't know who's a good person will help me to understand my problem but no response on that..
banning account is not a solution .. it will cause for something wrong action on the forum to fb. then i don't know [stop or 10yr's cont...:-] ? But F_Y_I>>> anish.kumar.bairwa is not my fake account i don't know who is that? about the kinjutsu: Phantom Impulse [N/A] not applicable so ns dev's delete it.. Complaining is to justify that is in demand [Stay it or Leave it]? That's funny, i thought that were starting to Boycott NS once more for being soo expensive. If that emblem costs 25$ with no 2k tokens package? I'd rather buy a Max payne 3 pc or xbox 360 console. Aku Saturos wrote: That's funny, i thought that were starting to Boycott NS once more for being soo expensive. If that emblem costs 25$ with no 2k tokens package? I'd rather buy a Max payne 3 pc or xbox 360 console. Xbox 360 is better cause you can play some of ps2's and ps3 platform games. Both are good it depends on your preference anyway.